Unsolved Mysteries | The Weirdo. Maria Orsic – WWII era Medium and leader of Vril , which was an offshoot of the Thule Gessellschaft Society in Nazi Germany. Her story is amazing, and sounds almost like a sci-fi story and has convincing documentation of its true existance. She dissapeared in March of 1945 and some say that she and others went to a Star system 68 light years away from ours. In the year 1919 Maria moved to München, to her boyfriend, who became later her fiancé. It is unknown whether they married or not, because they both disappeared in 1945. In Munich Maria was in contact with the Thule Gesellschaft and soon she created her own circle together with Traute A. from Munich and several other friends: the “Alldeutsche Gesellschaft für Metaphysik”, official name of the Vril Gesellschaft. All of them were young ladies, which among other things were against the arising fashion of short hair-styles for women. Both Maria and Traute were beautiful ladies with very long hair; Maria was blond and Traute was brown-haired. They had long horse tails, a very uncommon hairstyle at that time. This became a disctinctive characteristic in all the women who integrated Vril which was maintained till May 1945. They believed that their long hair acted as cosmic antennae to receive alien communication from beyond. In public, however, they hardly ever exhibited the hair in horse tail style. Maria claimed to have received mediumistically transmissions in a secret German Templar script – a language unknown to her – containing technical data for the construction of a flying machine. Vril documents mention these telepathic messages had their origin in Aldebaran, a solar system 68 light-years away in the constellation Taurus. She had two piles of papers: one with the Templar script, the other with a legible writing. Maria suspected the second pile would be written in an ancient eastern language, it turned out that the apparently misterious language was actually ancient Summerian and hence the language of the ancient Babylonian culture founders. Sigrun, from the Vril gesellschaft helped translate the language and decipher the strange mental images of a circular flight machine. Hess found unnerving to watch Maria Orsic’s eyeballs rolling back and showing only whites, and to see her slumping backward in her chair, mouth agape. A weird voice then identified itself as “the Sumi, dwellers of a distant world, which orbits the star Aldebaran in the constellation you call Taurus the Bull”, according to the voice, the Sumi were an humanoid race who had briefly colonized Earth 500 million years ago. The ruins of ancient Larsa, Shurrupak and Nippur in Iraq had been built by them. Those of them who survived the great flood of Ut-napishtim (the Deluge of Noah’s Ark) had become the ancestors of the Aryan race. While Maria was still in a trance, she scribbled several lines of bizarre looking marks, those marks turned out to be ancient Summerian characters, the language of the founders of the oldest Babylonian culture. In December 1943 Maria attended, together with Sigrun, a meeting held by Vril at the seaside resort of Kolberg. The main purpose of the meeting was to deal with the “Aldebaran project”. The Vril mediums had received precise information regarding the habitable planets around the sun Aldebaran and they were willing to plan a trip there. This project was discussed again the 22nd January 1944 in a meeting between Hitler, Himmler, Dr. W. Schumann (scientist and professor in the Technical University of Munich) and Kunkel of the Vril Gesellschaft. It was decided that a Vril 7 “Jäger” would be sent through a dimension channel independent of the speed of light to Aldebaran. According to N. Ratthofer (writer), a first test flight in the dimension channel took place in late 1944. The test flight almost ended in disaster. But now let’s talk about the opulent hotel itself, with that Decó atmosphere and the Shining “recall”. 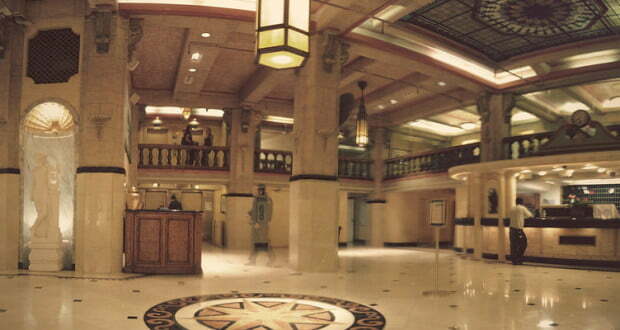 The Cortez Hotel from American Horror Story reminds me of the Cecil Hotel (now known as the Stay on Main) a place where murders, fatal accidents, suicides and mysteries have occurred until the present day. The Cecil Hotel in Los Angeles was built in 1927, a cheap place for many professionals who, for one reason or another, stopped in the cinematographic Hollywood. It was then modernized during the 50s to perform also the function of residence. In 1954 Helen Gurnee falls from her room on the seventh floor and smashes on the sign of the hotel. A week before she was registered with a fake name: Margaret Brown. It was never discovered the reason for that jump nor why she didn’t declare her true identity. A similiar event happened in 1962 when Julia Moore threw herself out of a window of the eight floor, shattering a skylight before touching the ground. The causes of the suicide were never verified. On June 4th, 1964 Goldie Osgood, a telephone operator in retirement, has been found dead in her room. The woman has been raped, strangled and stabbed. The killer left the hotel room upside down, perhaps looking for something of value. A few hours later the police officers stopped a man with clothes dripping with blood, although at first glance he seems just the killer of the old lady, they can not find any evidence against him and was released. The police failed to find the guilty. In the years 1984-1985 the hotel hosts Ricardo “Richard” Ramirez, known as the Night Stalker. In his $ 14 per night room he mutilates, rapes and tortures 14 victims, following a precise satanic ritual, panicking the entire Los Angeles. He was arrested on August the 31st, 1985 and sentenced to the gas chamber. In 1991 the serial killer Johann “Jack” Unterweger (known as Jack the Writer) rents a room for five weeks. 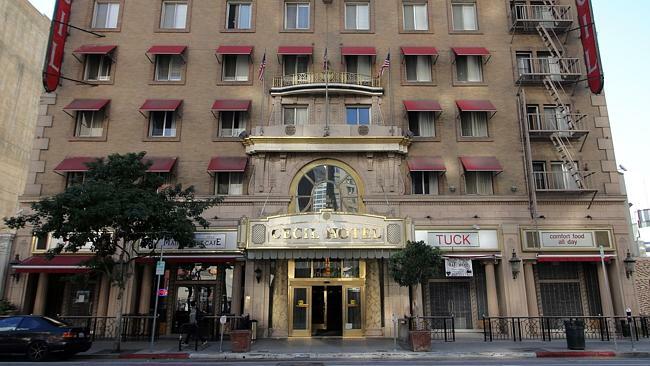 During his stay at the Cecil Hotel he kills three prostitues. He rapes and strangles them with their bra, a technique he will use for each of his 11 murders between Austria and US. He was arrested in 1992 but committed suicide the day of the sentence. Now, back to our days (almost), on January 2013 it was found the body of Elisa Lam, a Canadian student, disappeared a few days before. The body was found in a big water tank on the roof of the building. The young girl is pronounced dead as a result of an accidental drowning. There are still many doubts on her death, starting with the way she has been able to reach a private area of the hotel which is also protected by an alarm system. We do have a video of her last moments but it is kind of a puzzle as she seems to be communicating with someone else. The truth is still unknown. The Cecil Hotel is a very myserious place indeed, I guess that if I will plan a trip to Los Angeles I know where I’m going to check in. 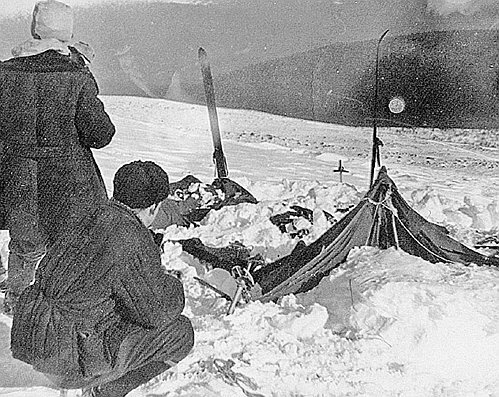 I was writing about another topic but then stumbled upon this unsolved mystery story: the Dyatlov Pass Incident, a strange event that happened over 50 years ago on a remote mountain ridge in the center of Russia. I found it so interesting and mysterious than I couldn’t stop myself to write about it. 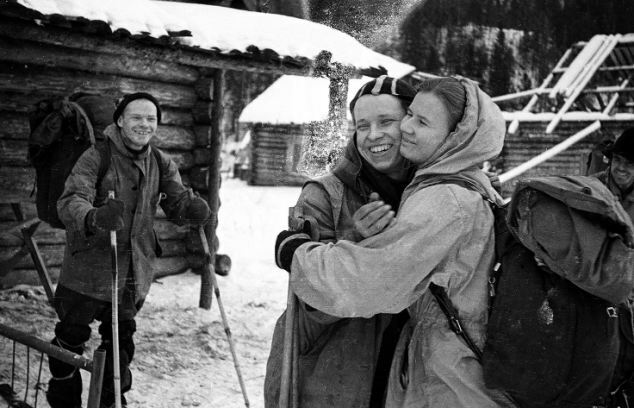 On January the 25th, 1959, ten skiers set off from the town of Sverdlovsk, in the eastern Urals, for an excursion on the northern peaks: in particular were headed to the mountain called Otorten. 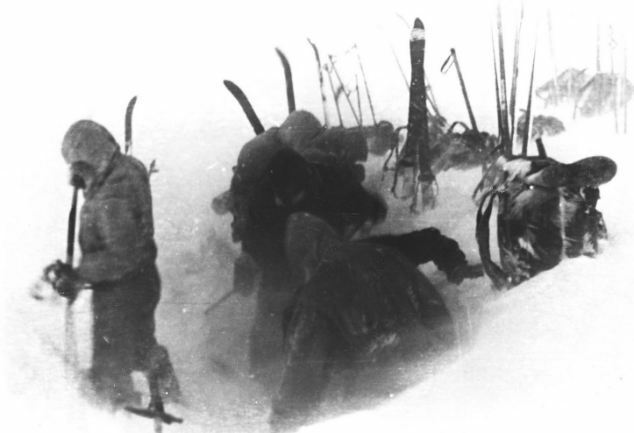 For the group, led by the 23-years-old hiker Igor Dyatlov, the trip was meant to be a strict training for future expeditions in the Arctic, they were all skilled and experts skiers and the fact that in that season the path chosen was particularly insidious did not frightened them. Arrived by train to Ivdel, they went with a van in Vizhai, the last inhabited outpost. From there they started their march directed to the mountain on January the 27th. The next day, however, one of the members fell ill and was forced to turn back: his name was Yuri Yudin, the only one who survived. The rest of the group went on and on January the 31st they reached one step on the eastern side of the mountain called Kholat Syakhl, which in the dialect of the Mansi people means “Mountain of the Dead“, a symbolic peak for the people and centre of many legends. The next day they decided to keep climbing, but a snowstorm reduced the visibility and made them lose orientation, instead of going towards the pass the group deviated and they found themselves right at the top of the mountain. Once they realized the mistake, the nine mountaineers decided to pitch the tents where they were, and wait until the next day. We know all this through the diaries and the cameras found in the field, telling us about the expedition until this fateful day and showing us the last photographs of the group. But what happened that night is impossible to understand! The nine, in fact, never returned and after a waiting period the families alerted the authorities, and police and army began the researches. On Febraury the 26th the tent was found, but seriously damaged. Following the traces, the researchers make the second strange discovery: nearby, less than a kilometer away, the first two bodies are found under an old pine tree on the edge of the forest, the two bodies are barefoot, and wearing only underwear. The branches of the pine are broken up to a height of four meters and a half and pieces of flesh are found in the bark. 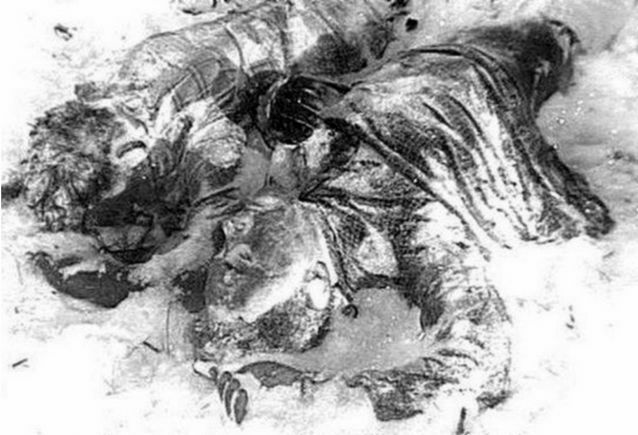 At different distances between the field and the pine are found three other bodies: their positions indicate that they were attempting to return to the field. One in particular is still holding a branch in his hand, and with the other arm seems to protect the head. At first the doctors who examined the five bodies concluded that the cause of the death was the cold, there were no signs of violence and the fact that they were not dressed meant that hypothermia had occurred quite quickly. Two months later, in May, the last four bodies were discovered buried in the ice and suddenly the overall picture changed completely! These new bodies, unlike the first five, were fully dressed, one of them had his skull smashed, and two others showed major chest fractures. According to the doctor who performed the autopsies, the force needed to reduce the bodies in that way had to be exceptional, excluding that the injuries could have been caused by a human being. The weird thing was that the bodies showed no external wounds or bruises or signs of any kind; impossible to understand what smashed the ribs inward. One of the dead girls had her head thrown back also, the doctors noticed that her tongue had been torn out from the root. Now the main questions are: Who or what the climbers met? What terrified them so much? There are several theories, some people swear to have seen strange lights flying over the mountain that night thinking about aliens, or top secret Russian military operations on experimental weapons and even the “abominable snowman“ typical of the Urals, called Almas. This is the last photo the took, could it be of any help? 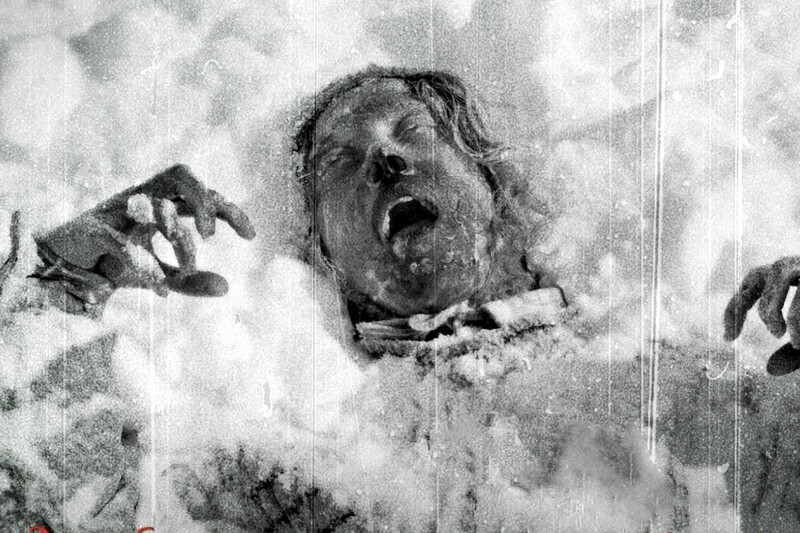 The site of the dramatic events is now called Dyatlov Pass, in honor of the leader of the unfortunate group of skiers who tragically and mysteriously lost their lives there. Let’s start the week with a BANG! Here we are with another unsolved mystery. 1948, an unidentified man was found dead on Somerton Beach, South Australia. On a scrap of paper found in a hidden pocket of the man’s trousers there was printed the phrase “Tamám shud” meaning “finished” or “ended” in persian. This turned out to have been removed from the final page of a particular copy of The Rubaiyat of Omar Khayyam. This case gained international coverage, as the police widely distributed materials in an effort to identify the body, and consulted with other governments in tracking down leads. The jeweler John Bain Lyons and his wife were walking along the beach of Somerton, a few miles south of Adelaide. As they walk they noticed a smartly dressed man lying on the sand, with his head resting against a wall, his legs stretched out and the feet crossed. As the couple reported, the man stretched out his right arm up, then dropped back to the ground. Lyons thought that the man was drunk. Half an hour later, another couple noticed the same man lying in the same position and thought that he was sleeping. The following morning Lyons came back from a morning swim and approached the place where he had noticed the man. He saw a figure slumped on the sand, finally realizing that he was dead. So the police was called. Three hours later the body was brought to the Royal Adelaide Hospital where Dr. John Bennett Barkley found that the death occurred not earlier than 2 a.m., and declared that the cause was likely to be a heart failure with suspected poisoning. But the repeated tests carried out by chemical experts failed to reveal any trace of some kind of poison so finding the main cause of the death was rather impossible. Many questions hovered on this mysterious corpse starting from the contents of his pockets: train tickets from Adelaide to the beach, a packet of chewing gum, some matches, two combs and a pack of Army Club cigarettes but with seven cigarettes of a different brand inside. There were no cash nor a wallet so not any I.D. was found. 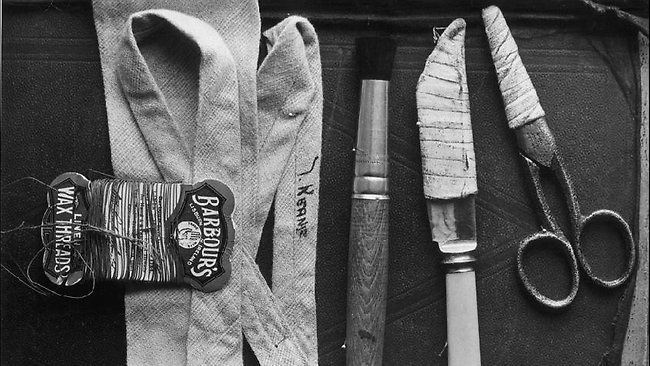 None of the man’s clothes had a label and in one of them the manufacturer’s label had been carefully cut away. The authorities had a real puzzle in their hands, thinking that the only explanation of the death could be the use of a very rare poison that leaves no trace after death. Six weeks later a suitcase apparently containing the same man’s property was retrieved from Adelaide Railway Station’s cloakroom, where it had been deposited at around 11am the day before the mysterious man’s death. However, apart from three items marked “Kean”, “Keane”, and “T. 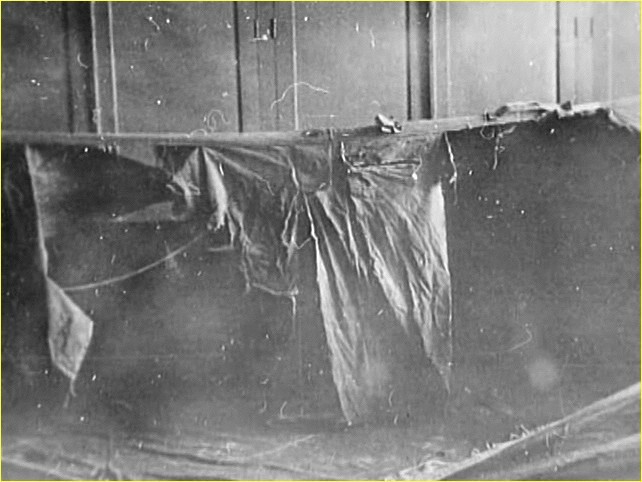 Keane”, (nobody with that name was missing) nothing indicating the man’s identity was found in those belongings. Then some months later, a particular copy of the Rubaiyat surfaced with part of the final “Tamam Shud” page removed – it was claimed that the book had been thrown into a car parked near the same beach where the man had been found. On the back there were slight pencil marks, some annotations that look a lot like a secret code. As you might imagine rumors were spreading around saying that this man would have been a Russian spy poisoned by unknown opponents keeping in mind that the death occured at a time of heightened tensions during the Cold War. These kind of rumors were “helped” by the fact that the man died in Adelaide, the capital closer to Woomera a missile base and top-secret intelligence center. Three months before Harry Dexter White, a member of the US Treasury Department, accused of being a sovietic spy, died from digitalis poisoning. The case is still unsolved as the identity of the man. It’s a famous case that almost seemed committed for Hollywood movie-makers, the brutal death of an aspiring actress, with a list of potential suspects that once included some of the movie industry’s elite. 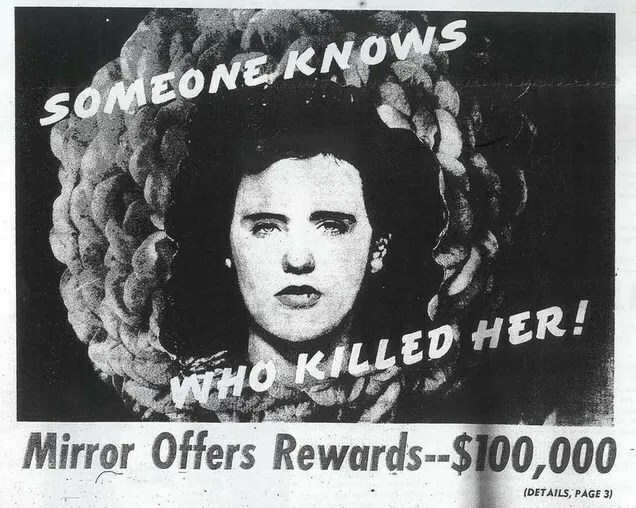 Elizabeth Ann Short (1924-1947), known as The Black Dahlia, is the victim of a notorious murder case that is still unsolved. 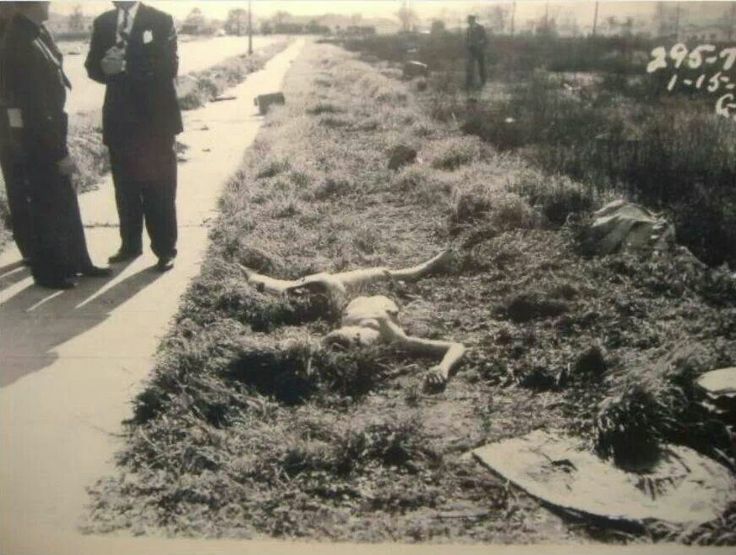 The body of Elizabeth Ann Short was found Jan. 15, 1947, in a vacant lot in Los Angeles, the young aspiring actress had been tortured, cut in half at waist and had an ear-to-ear grin carved on her face. The body was drained of blood and her internal organs were removed. Because no blood was found at the scene, police detectives believe Short was murdered elsewhere and then dragged onto the lot, one piece at time. During her stay in Long Beach she was nicknamed The Black Dahlia, for her passion for the film The Blue Dahlia and the habit to dress in black. The investigations on the murder were among the most extensive in the history of the Los Angeles Police Department, and involved hundreds of agents and inspectors, even other departments. The suspects were hundreds, and thousands of people interrogated. According to some, investigations were not carried out properly as (officially) were never found tire-tread impressions or shoe prints. The police did not even pick up the fibers in the field. About 60 people confessed to the murder, mostly men. Of those, 25 were considered viable suspects by the Los Angeles District Attorney. In the course of the investigation, some of the original 25 were eliminated, and several new suspects were proposed. Detectives focused first on her former lovers and then later on medical students because of the body’s condition after dismemberment. Among the suspects (Orson Welles was on of them as well) police attention focused on Dr. George Hodel. Investigators had even planted a bug in the house to listen for incriminating admissions. But before authorities brought charges, Dr. Hodel abruptly abandoned his family and relocated to Asia. He died in 1991. Well, over the years, theories abounded about who killed Short. Several writers have claimed their fathers were responsible. One writer claimed a drifter committed the act. In 1991, volunteers dug up a vacant lot looking for evidence after a woman said she recalled long- repressed memories of her father killing women there, but still the case remains unsolved.